What is Intex? Well, for starters, it should be Intex Recreation. That’s the company’s name. They do not specialize in mattresses, but they do specialize in inflatable things. For instance, swimming pool, boats, and toys. 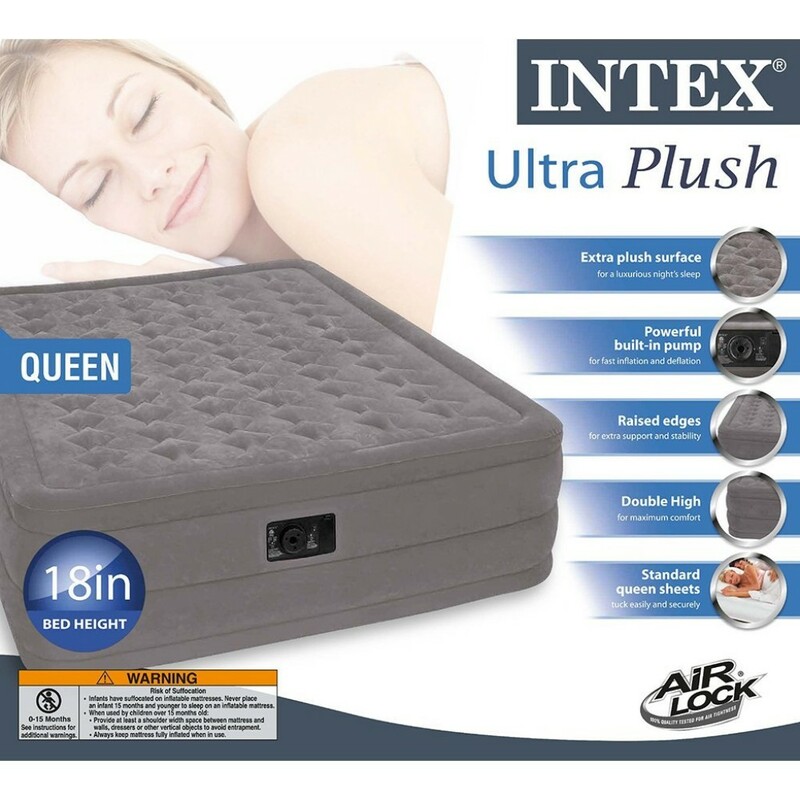 Although I’m only doing Intex mattress reviews. The company is not all that old, as far as companies go, but still, forty years are nothing to scoff at. Even though air mattresses are just a line of their vast product assortment, they take it most seriously. Safety standards are always followed. Also, Intex makes sure that the mattresses they make are very comfortable. That said, there is an issue all Intex mattresses seem to have. It’s what I call “not negligible leakage possibility.” Most of the time, Intex mattresses are fine. But whenever there is a defect, that defect will have to do something with bad seams or simply leakage. If you happen to be one of the few unfortunate people who have received a defective mattress, all you have to do is send it back to replace it. Most likely, the replacement will be perfect. One of the things you probably wouldn’t mind getting is a duffel bag to come with your new air mattress. Well, that’s exactly what you’ll get with this airbed. Not the most important thing as far as mattresses go, it’s still important enough. After all, don’t we use air mattresses to travel? When we actually don’t, don’t we want to store it somewhere? Absolutely. Bags aside, this is certainly a good mattress. One of the best among most of them in total but today, I only give it the fifth place. It’s not that it’s bad, it’s just that the other four mattresses are objectively better. Anyways, the mattress comes with a built-in pump (which is a must for an airbed). 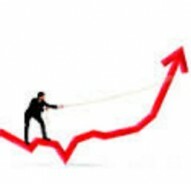 The process of inflation takes approximately four minutes. The pump can also deflate the mattress. The airbed has an outer perimeter, which is also inflatable. The perimeter’s main function is edge support to prevent rolling off the bed. The top of the mattress is flocked but at the same time waterproof and water-repellent. The main downside of this mattress is that it can only be inflated with by the built-in pump. There is a way to bypass that, but such a solution would require disassembling the pump block. Anyway, this mattress is a very good choice for those who plan to use it as a guest bed. So you can order this on Amazon.com. This is a very cheap mattress. The reason for such a low price is quite simple: the mattress does not come with any kind of pump, either internal or external. But just like the previous one, this mattress has a plush flocking. Of course, it’s waterproof. Unlike the other mattress, this one is not meant for indoor use. Not that it cannot be used that way, but it’s primarily designed for camping. It barely weighs nine pounds. Being as lightweight as it is, it’s a good choice not just for camping, but for hiking as well. The absence of a pump may be an inconvenience but it’s not a real issue. What can become one is the possibility of getting a mattress with leakage. However, you don’t have to expect problems like that. What I mean to say, if you do get a mattress with slight defects, it most probably would have a light leakage. Either way, you can always return the product you’re unhappy with. To buy this mattress, all you have to do is to follow this link and order it on Amazon.com right now. This air bed does have a pump. The pump is built-in and it takes it only three minutes and a half to finish inflation. The pump is rather loud but thankfully it doesn’t it too long, so you don’t have to suffer the noise for too long. Also, you can use an external pump if you so wish. Besides, if the pump is out of service for some reason, the air mattress can still be inflated. So you have a certain level of independence there. By the way, recommend you getting a manual pump rather than electric one. The reason is simple. Sometimes, you can’t use the electric pump because there’s no electricity. An external electric pump would have the same issue. But not a manual one. The mattress’s profile is 22 inches. A bit too high for a standard mattress, it’s perfect for n air bed. After all, it’s used standalone rather than put on a bed platform. The mattress is also very sturdy and durable. In theory, it might even survive an encounter with pets’ teeth and claws although I wouldn’t test if I were you. What’s more important about the durability is that thanks to it the mattress can hold up for almost 12 nights without pumping. Unless you get a mattress with a bad seam. Which, regrettably, is not impossible. But, while it is not impossible, you can always return a faulty mattress. 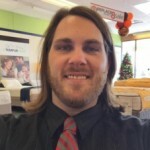 Don’t waste your time and order this mattress on Amazon.com right now! Until very recently, I would’ve called this air bed the best conventional air mattress. It’s not that it became worse, it’s just that an even better mattress has emerged. Anyway, I will get to that later. For now, let’s concentrate on this mattress. I cannot say that this mattress is good for heavy people. Well, depending on whom to call heavy. Three hundred pounds is okay. After all, this is a Twin Size mattress. Can’t expect it to be on par with a Queen Size mattress now, can we? Because of the size, the mattress is also a bit wobbly. It’s not much of problem, but if you plan to buy this mattress eventually, it’s better if you know beforehand what can be in store for you. Just like with the other Intex mattresses the most common issue is the possibility of leakages. Vey small amount of them would not hold up but some wouldn’t. If you do get such a mattress, don’t be afraid to return it. The pump has no auto-shut-off function, and yet there is no risk of bursting the mattress with extensive pressure. Although I recommend pumping it with supervision anyway. After all, it only takes up to three minutes, as well as deflation. The air bed also has a built-in pillow. The name might suggest otherwise but the mattress doesn’t have a pillow rest feature. The pillow cannot be inflated separately. So if you’re a side sleeper or you have some neck problems I advise looking up something else. But if you’re not discouraged, make sure to be the first to order this mattress on Amazon.com. 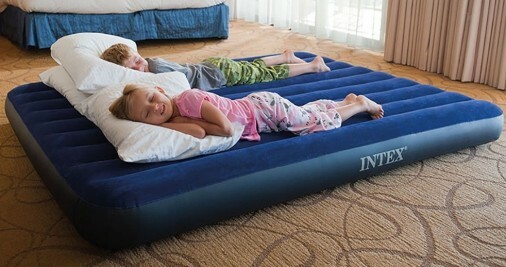 This air bed not just has a built-in pump, it also inflates from zero to full in 2.5 minutes. Faster than any other mattress I’ve reviewed. So, does this mattress have any special features? Apparently. First of all, this mattress has been designed to be just like the real bed. I have no idea how on earth the manufacturer managed to achieve that, but this mattress does feel like a real bed. Without any extra mats and toppers at that. The mattress is constructed with circular and I-beams for support. As for the surface, it comprises a multitude of interconnected air cells. The system of those cells provides luxurious and comfortable sleep. The surface is also covered with fabric, which has Veletaire flocking. The plush feel is especially comfortable. The firmness levels are perfectly adjustable. 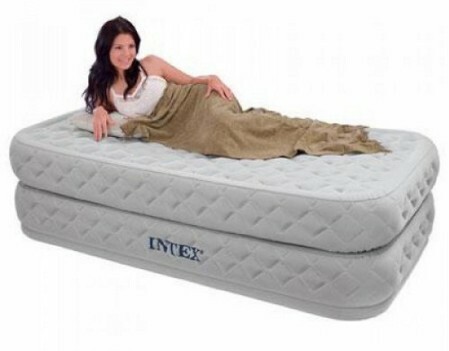 All the chambers of the mattress can be inflated to the desired firmness level very easily. This is a good guest bed. As a matter of fact, this mattress from Intex can be just as easily used as your main bed. It might trump some traditional mattresses in terms of comfort and sleep. It is a very good purchase. Don’t hesitate and order this mattress on Amazon.com as soon as possible. It stands to reason that Intex mattresses are inflatable. Whatever mattress you choose, you would do well to remember that. Air mattresses are easy to puncture, and puncture means the mattress is gone. Even if you use a patch kit, the warranty is as good as gone. So be careful with pointy things! 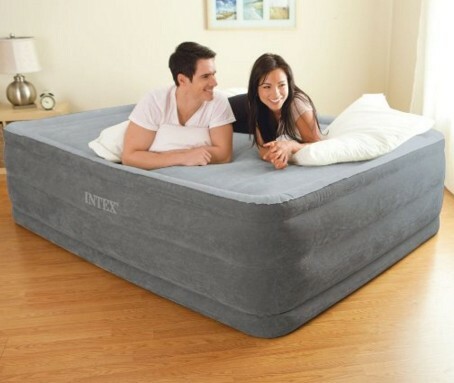 Intex Recreation does not produce just one type of air mattress. A mattress with a built-in pump, a mattress without any pump, a mattress with a built-in pump that cannot be inflated otherwise – they have all that. As well as mattresses both for home and for camping. When choosing, you should remember what kind of mattress you need. What you need it for. Then you make your choice. Next What’s the best mattress for a platform bed?